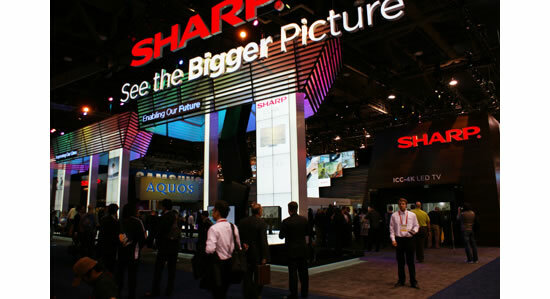 Sharp used its CES presentation booth to exhibit its much-talked-about new products and technologies, centered on large-size LCD application products such as touchscreen displays and large-screen TVs. The Large LCDs area focused on applications for large-size LCDs, which are manufactured from 10th-generation glass substrates at the state-of-the-art Green Front Sakai facility in Japan. 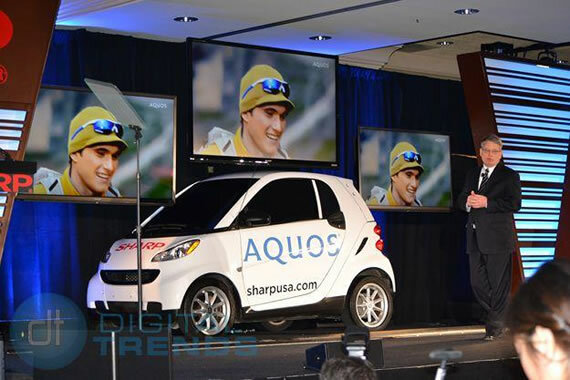 On exhibit was the AQUOS Board, which employs a large 80-inch LCD. Sharp presented the many versatile uses for this interactive communication tool, such as in corporate settings and in education. At the Large-Screen LCD TV Lineup, Visitors were treated to a dynamic visual experience on Sharp’s 60/70/80-inch LCD TVs. The Next-Generation LCD TV – ICC 4K LCD TV has a resolution four times that of full high definition. Visitors were able to experience outstanding image quality with an unprecedented sense of depth and texture. Sharp demonstrated the attractive features of the wireless AQUOS, a TV that users can set up anywhere in the home to enjoy television and Web content in their preferred viewing style. The International CES (Consumer Electronics Show) is one of the world’s foremost consumer technology trade shows. Produced by the Consumer Electronics Association (CEA) and held annually since 1967, it includes comprehensive coverage of products from the AV, PC, mobile phone, and networking fields.